Torbjörn Blom´s Projects: New hobby again! Model trains. New hobby again! Model trains. Hello again blog readers. It's been too long since last post. As usual will I try to improve. During the absence have I still been busy with playing and painting models. I will make a separate post about the different painting projects. Now let's talk about my latest and greatest hobby, model trains. Sins I like both the models and the landscaping have I choose N-scale 1:160 or 10mm. This is a good compromise I can still run digital trains (multiple trains on one track) and create a nice large landscape without using the complete house for the tracks. The only drawback is tha scale is not as widespread as H0 scale. I have already built my first track and have several test run. The track is taken down again for redesign. At the same time have a start building my first FREMO N-F1 module. I think I will write most about my modules sins this is the most public part of the hobby. 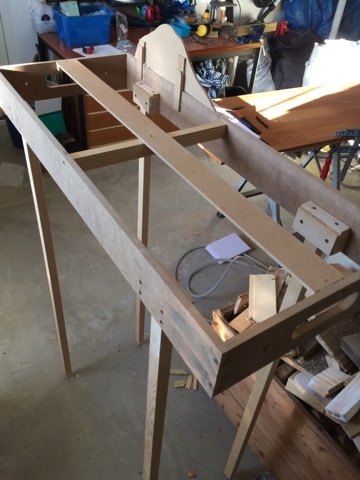 So far have I created the frame according to the modulsyd pdf and created legs and layed the track. 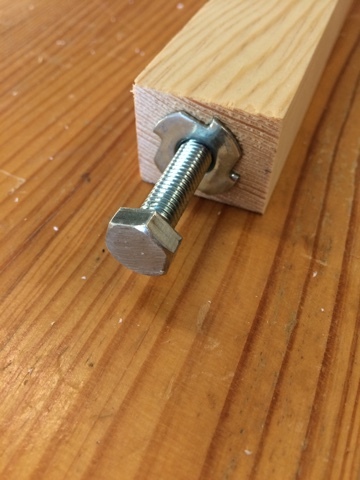 I have used a normal M8 screw with a punch in nut for the adjustable foot. 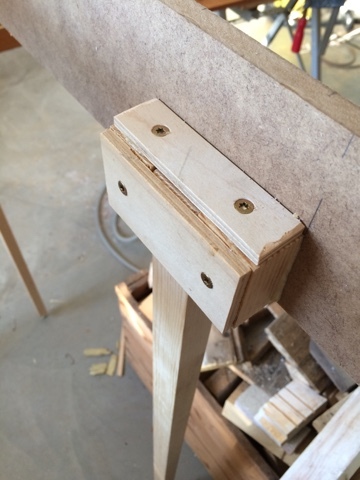 The legs is only slide in to pockets on the frame and kept their with a strong magnet. This system seems to work good. But I have not tried it live with other modules. Here are some pictures of the progress. I will try to keep you posted about the progress. I will also show you the pictures of my other painted models in another post.